Students come to the JD, as a graduate-entry law degree, equipped with a vast range of educational and professional experiences. This year's JD class has the cumulative experience of having studied at 38 universities in 50 undergraduate specialisations, and having worked across 40 professional fields. These students bring experience in everything from art auctioneering to aviation, physiotherapy to ballet, media relations to public service, youth work to journalism and, in the process, debunk many of the myths about what constitutes a typical law student. Building on this remarkable diversity, this year's group is also ethnically diverse. Around 25% of the cohort is multilingual, with 16 languages spoken across the group. This include Vietnamese, French, Swedish, Spanish, Mandarin, Cantonese, Chinese dialect, Portuguese, Russian, Dutch, Hebrew, Korean, Japanese, Italian, Indonesian and Greek. With slightly more women (54%) than men (46%) and an age range that starts at 22 years and continues right through to several students in their mid 50s, these students carry very different goals and career aspirations. 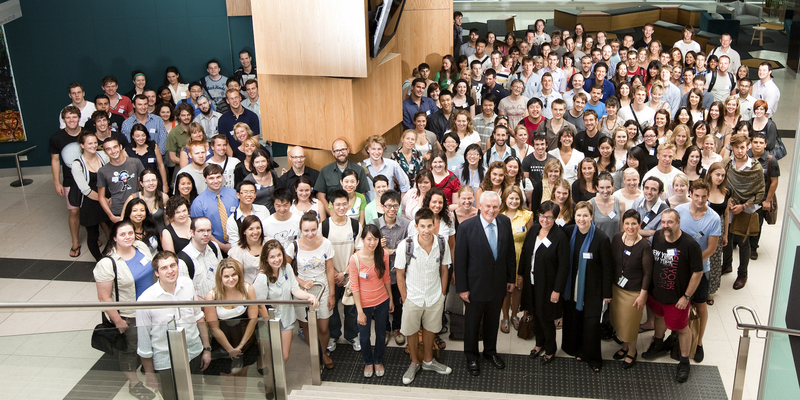 All students have their own path along which they have travelled to arrive at Australia's leading law school as a graduate student. We asked one of our new students, Eric Myles, to share his journey and his experience of the JD with you. "I worked for 17 years as a journalist, trained as an actor and really began to find job satisfaction as a youth worker in the drug and alcohol, mental health and refugee and asylum seeker areas. I wanted a law degree because I believe it will help me fuse the skills I have accumulated and make me more effective in getting in between people's problems and the system and trying to find good outcomes to bad situations. "Are you the 50 year old? ", the woman sitting next to me asked on our first day in the Melbourne JD. WH Auden said we all get stuck feeling like we're 22 and are constantly surprised when we find ourselves older, so it hardly made any difference whether I was the 50 year old or not. But being introduced as the guy who wasn't 50 did prove a handy icebreaker during that first day when I might otherwise have felt a bit intimidated by meeting a winemaker, a rowing champion, a neuroscientist, a ballet dancer, an aeronautics graduate and an infantry strategist all in our first morning coffee break. Something I have learned from my various work experiences and training is that a soupçon of personal revelation goes a long way in a demanding social setting. And I can report that Not Being a Certain Age works very well if you find yourself confronted with a forensic microbiologist and you're momentarily stuck for words. Of course I wasn't the only one using that technique. As our introduction to the pedagogical mysteries of the JD unfolded, it became clear that I was in company with a lot of good storytellers and people open to sharing their life experiences. And as Associate Professor Pip Nicholson spoke about the ideas of developing law teaching from the key attributes of this group of people from diverse backgrounds chosen for our intellectual ability and commitment to the law, I began to sense that this degree was going to be great fun and a powerful way to learn. Now, more than a few classes in, that sense of how the mix of wide experience and love of sharing knowledge can really supercharge the learning environment seems very much confirmed. The JD is tremendously demanding, fascinating, endlessly stimulating and surprising and, in deference to my great age, quite rejuvenating, too."